Exit 63’s first show in their 2019 season was the Chicago premiere of Roberto Aguirre-Sacasa’s DARK MATTERS, an immersive thriller about the secrets that hold families together and the terrible truths we sometimes choose to ignore in the people we love. “This play transcends its science fiction premise to become a taut little family drama” said Chicago On Stage. Directed by Nora Lise Ulrey the cast included Ann Sonneville, Mike Carey, Nick Shank and Scott Olson. The production team included Toni Ward, David Goodman-Edberg, Uriel Gomez, Connor Sale, Connor Baty with an original score by Donny Walker. Photos by Shea Petersen and video by Steven Logan. Artwork by David Hagen. 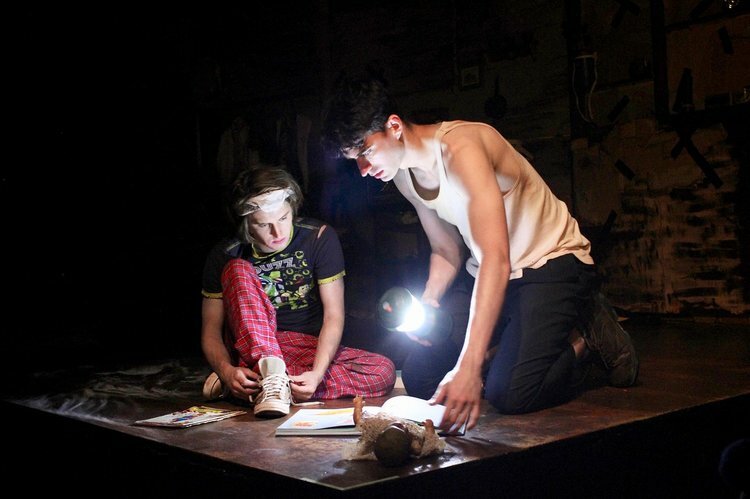 Exit 63 presented the Chicago premiere of Henry Murray's apocalyptic play Treefall in the summer of 2018 at the Trap Door Theater. "Well-acted and richly designed, it’s a coup for the young company and somehow manages to make a glimmer of hope appear amid a disturbing tragedy" said Picture This Post. Directed by Connor Baty and Nora Lise Ulrey, the cast included Shea Petersen, Kirra Silver, Matt Schutz and Andrew Garcia. The production team included Anna Klos, Bill Gordon, David Goodman-Edberg, Teddy Gales, Bailey Castle, Jeff Simpson, and Ben Mills. Photos by Daniela Monico and artwork by David Hagen. 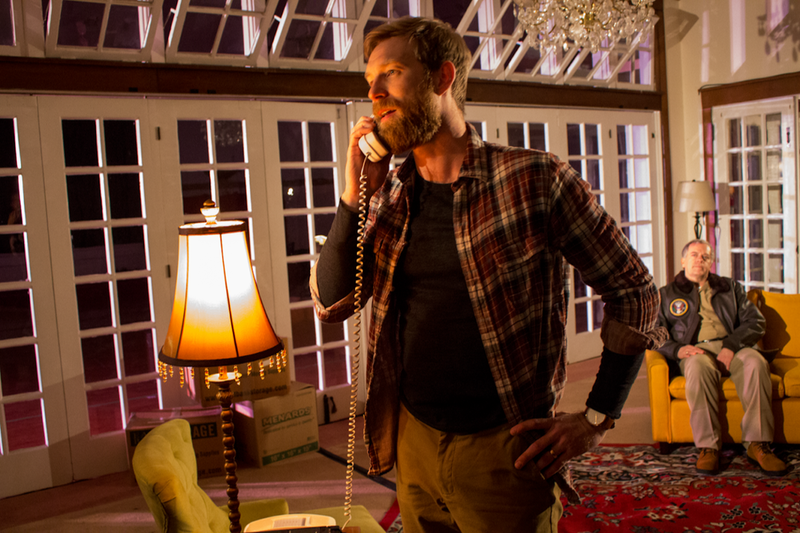 For two weekends in May 2018 at the Athenaeum Theater, Exit 63 presented its inaugural production of Steve Yockey's Very Still and Hard to See. Directed by Connor Baty, the thrilling and disorienting play cycle featured an ensemble cast with Bailey Castle, Andrew Garcia, David Gordon-Johnson, Rachel Mock, Scott Olson, Jordan Rowe, Manuela Rentea and Chelsea Turner. The production team included Lucien Gratteri, Nora Lise Ulrey, David Goodman-Edberg, Teddy Gales and Bill Gordon. Photos by Austin Oie and artwork by William Rude.